Advertising gurus have a recall mantra which they use on customers to check their brand loyalty. For every word thrown up, the ‘response’ word that comes instantly to the customer’s mind shows his immediate association with a brand he patronises or recognises as a leader. And when a large mass of consumers give the same response and opt for the same brand, it means that that brand is obviously a leader in the market. Going by the proven diktat, it would be easy to state that say the word ‘lens’ and the first brand that comes to the mind of most people would be Nikon. For camera lenses of course, but also for all kinds of lenses including spectacle lenses. Cutting-edge technology, highest quality materials and years of optical design experience have been the power backing the evolution of Nikon’s superior performing spectacle lenses. Ever since Nikon’s inception, the company has been involved in the production of spectacle lenses. In fact, the first step towards building this formidable brand came about as early as 1917, when Nikon first ventured into the making of optical products. The first Nikon spectacle lens came in 1946 called ‘Pointal’. Since then, its growth as a company and one of the leaders in spectacle lenses has been phenomenal. Through the decades Nikon has contributed in many ways to the vision world. The last fifty years or so have seen remarkable breakthroughs in the world of optical lenses and Nikon has spearheaded a few of the pathbreaking ones. In every Nikon product there is an optical lens, from cameras to IC/LCD steppers and scanners, from microscopes to telescopes. Therefore, its association with spectacle lenses has been since its inception itself. With nearly a century of experience backing them, it is no wonder that Nikon is at the forefront of the lens business. Today, Nikon has proved that no matter what the weather conditions, its lenses can deliver unmatched quality. This unfaltering reliability makes Nikon a popular choice for the entire gamut of professional needs. In 1983, Nikon manufactured the first anti-glare coating lens with built-in scratch resistance. An instant hit in Japan, where it was first tested, today nearly 100 per cent of lenses feature this kind of coating. In 2000, Nikon invented the first high index 1.74. Today Nikon makes high index 1.74 double sided aspheric stock lenses that claim to be the thinnest and lightest lenses in that range. In 2003, Nikon invented the first custom made Single Vision lens, called SeeMax. In 2004, Nikon invented the first double design progressive lens, Presio W with an aberration filter, thereby establishing a much-needed innovation. 2006 saw the launch of the SEE Series, Nikon’s most premium lens range, that included SeeMax single vision, SeeMax progressives, SeeCoat and SeeStyle. Undoubtedly, this series of lenswear revolutionised optical technology. This was duly recognised and lauded when SeeCoat Blue received the prestigious Good Design Award in 2011. Ever since its inception way back in 1917, Nikon has been known to invest in high calibre technical developments and R&D activities to emerge as one of the most revered brands in its category. While all the advanced key technologies and research are handled at Nikon’s Core Technology Center, every company associated with the brand is also encouraged to undertake extensive research projects in order to support the larger vision of developing world class products for the future. Currently, Nikon’s expertise ranges from optics and materials to image-processing and simulations such as highly innovative digital cameras, ultra-thin ophthalmic lenses and much more. As a result of its consistent endeavours, Nikon continues to make major strides in the ophthalmic lens industry. Specialising in developing some of the most advanced lens materials and coatings in the market today, Nikon has always strived to maintain stringent standards of quality across all processes. 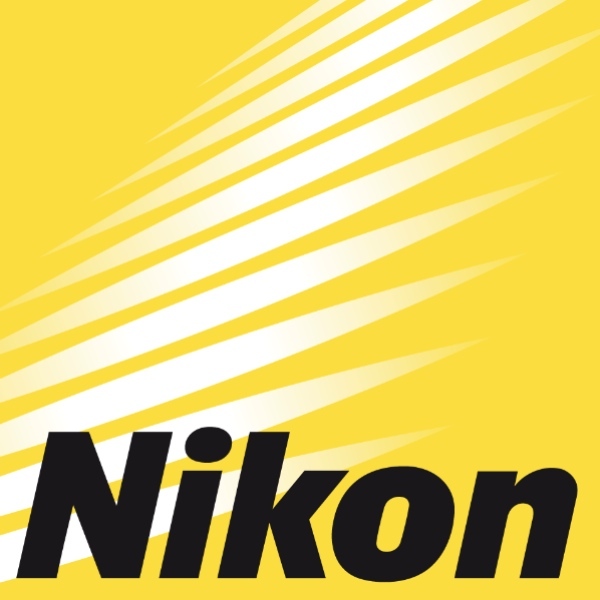 In fact, today, the standards of quality set by Nikon are being adopted by several players in the industry, clearly indicating that the brand has established benchmarks that it can be proud of. For instance, Nikon’s patented technology of using Advanced Aspheric Design allows wearers to enjoy a sharper vision with limited peripheral distortion and also offers superb aesthetics. The core focus at Nikon is to provide lenses that offer superior visual performance and unsurpassed protection. Proclaimed to be the first brand to develop the customised single vision lens, Nikon has clearly established its position as one of the industry leaders in the domain of ophthalmic lens technology. Continuing its work in the direction of developing advanced digital lenses, Nikon specialises in using innovative coating to optimise the protection as well as the visibility offered by the product. Nikon was one of the pioneers who used high index materials in lens development technology. When used in the lens, these materials offer ample protection from the external environment and also guarantee clear as well as uninterrupted vision. In addition to the manufacturing material, Nikon uses specially developed lens coatings that further help in increasing the utility of the eyewear product. These coatings are developed as a result of rigorous processes that guarantee quality, durability, ease of maintenance and of course, superior optical performance. Developed using the latest advancements in eyewear technology, Nikon coatings protect lenses against abrasion and scratches that can occur as a result of routine exposure to the external environment. As a result of this protection, the shelf-life of the lens is automatically increased. The Nikon coatings are developed to eliminate reflections. Restricting the residual reflections to a bare minimum helps in increasing the visibility for the wearer. The enhanced visual clarity is a boon, particularly in situations when the wearer is driving at night or working on a computer, etc. Furthermore, Nikon coatings limit interference fringes by matching varnish to a material’s refractive index to ensure uninterrupted visibility. Each lens coating developed by Nikon comes with superior water and dust-repellent properties. This in turn prevents the lens from tarnishing, which ultimately increases its longevity. Additionally, cleaning the lens becomes easier and faster. Over the years, Nikon has proved that it can deliver outstanding performance in the most extreme conditions. From missions in the blistering cold weather to the unpredictable environment in space, Nikon has indeed worked hard to reach an enviable position in the optical industry. Thanks to its constant research endeavours, the company regularly updates its quality standards to ensure that there is no compromise on the end product that reaches the user. Repeated quality checks are a norm when it comes to Nikon products. Every process pertaining to the development of lens is carefully supervised to ensure the perfect blend of technology, innovation and design to create a product that is reliable as well as durable. Nikon’s core strength has always been its technological competence. This has always given the company a head lead over its competitors. Every Nikon company has its own Research and Development department that works at developing products based on pre-set specific goals. Design, materials, coatings–every factor that propels growth in ophthalmic care–is researched upon and developed. This single focus attention to excellence has rewarded Nikon with many firsts, from the high-index 1.74 material to the first customised single vision lens to NODE or Nikon Optical Design Engine, the most advanced proprietary calculation engine used in Nikon lenses. At the centre of it all is Nikon’s Core Technology Center. This acts as a common platform where research is focused on opto-electronics and precision technologies, the results of which are then shared with the specific R&D wings. Whether it is Nikon SunStyle, a line of sun lenses specifically designed to protect your eyes against the negative effects of solar radiation, or speciality lenses such as Online that are designed to offer enhanced intermediate vision for home and office, Nikon constantly endeavours to excel itself in the making of superior quality lenses that would make the world of vision significantly better. 1946: First Nikon spectacle lens ‘Pointal’ is marketed to the consumer. 1983: Nikon introduced its first anti-reflection coating. 2000: Invented the highest index material available – Index 1.74. 2003: Invented the first custom made Single Vision lens. 2004: Nikon invented its first double design progressive lens. 2006: SEE Series is launched. 2011: SeeCoat Blue receives Good Design Awards.